The traditional Ashdon Gas stove has graceful lines and fine Gothic tracery window combined with the latest gas fire technology. This gas stove will provide a superb focal point for your home. There is a choice of coal or log fuel beds; standard upgradable and programmable upgradable remote controls. For those who admire the fine lines and heating capacity of the Gas Ashdon stove, there is now a choice of a clear door version. Identical in performance and size to the Gas Ashdon with Gothic tracery doors, the Gas Ashdon stove with clear door is for those who crave the fullest possible flame picture without compromise. Stove colour choices: Matt Black, Matt Ivory, Enamel Green, Enamel Blue & Enamel Ivory. 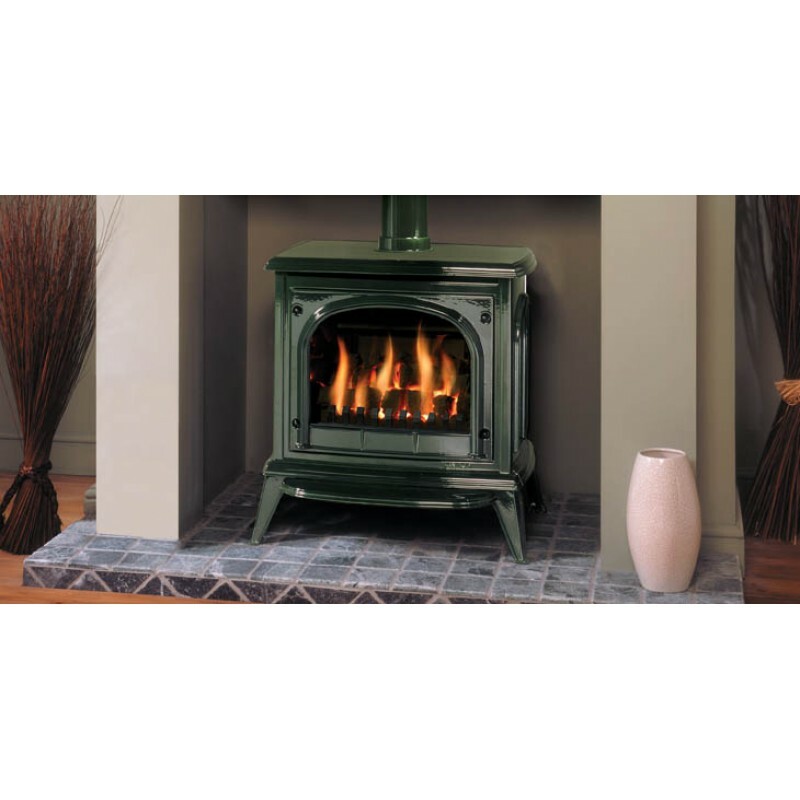 Do you have any questions about Ashdon Gas Stove?